(16 years and older) – A fun night out to facilitate social interactions between adults with Down syndrome, their peers & the community. Supports the development of social skills & language through peer to peer interaction in a casual & fun setting. Generally meets the last Friday each month, 7-9pm. Led by Chris. NEW: We are fazing out the use of Sign-up Genius. 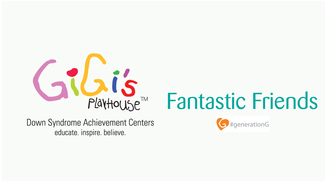 Please begin to use our website calendar to RSVP, volunteer, or join a committee: https://gigisplayhouse.org/milwaukee/calendar Simply click on an event, scroll to the bottom and RSVP appropriately. We will discontinue using Sign-Up Genius at the end of May 2019. Thanks for your patience as we transition systems. Our goal is to make signing-up easier! Thank you for RSVPing to this event!